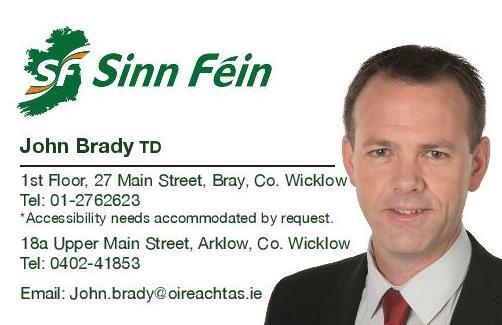 Sinn Féin TD for Wicklow John Brady has met with the CEO of Bus Éireann Ray Hernan to ask for the reinstatement of route 133 back into Bray. “Last year the 133 Bus Éireann service began by-passing Bray town centre and used an alternative route via Upper Dargle Road. The National Transport Authority recently confirmed that what was a temporary detour was to last indefinitely. “I met with the CEO of Bus Éireann Ray Hernan to express the anger of the public that have been directly affect, and to ask him to ensure the route is reinstated while alternative plans are looked at.